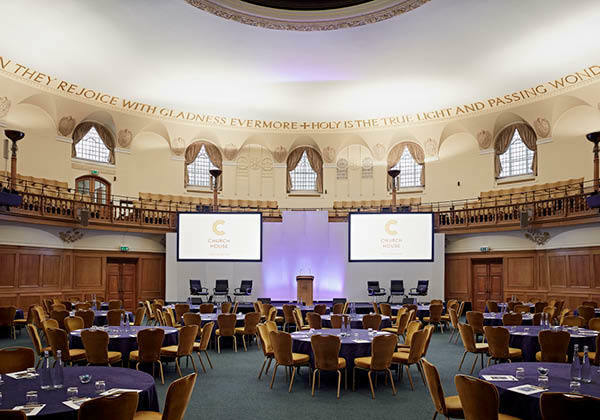 Combining historical charm and cutting-edge event technology, Church House Westminster is a unique London conference venue. 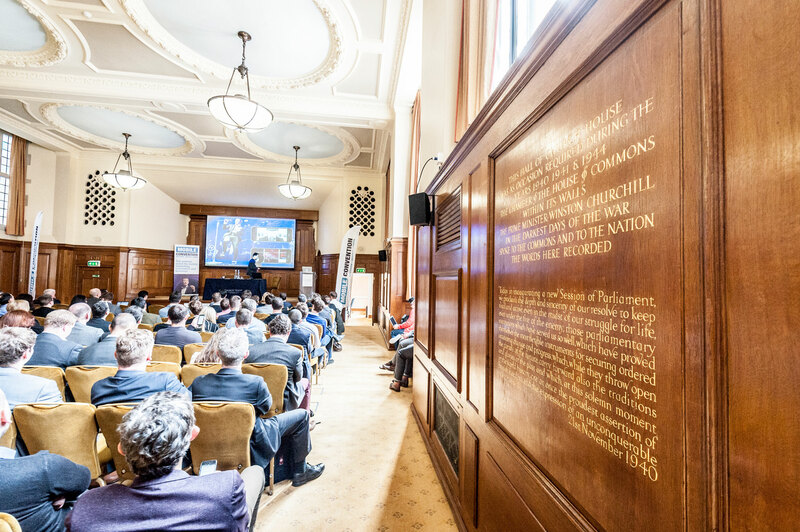 Our Westminster corporate events venue and conference centre offers excellent public transportation links within central London, making it a popular destination for international conferences. Set within Dean's Yard and overlooking Westminster Abbey, famous London landmarks such as the Houses of Parliament and the London Eye are all within easy walking distance. 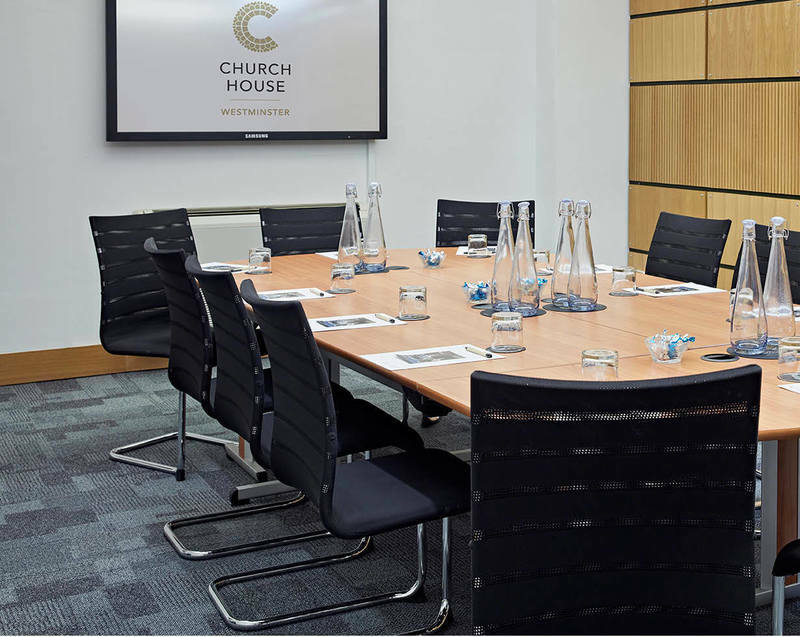 Why choose Church House Westminster? Expert event coordinators who have been awarded the BVA BDRC VenueVerdict Gold Standard for 2018 for consistently providing customer excellence. We also hold an AIM Gold award. 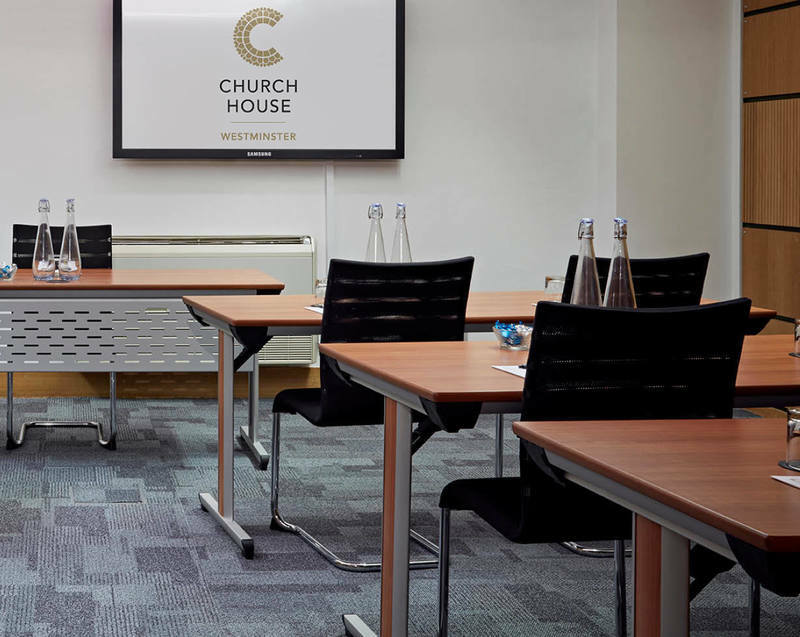 A building steeped in history with 19 event spaces for hire of which many can be used for breakout rooms including catering, exhibitions, smaller seminars, training sessions and workshop rooms. Capacity in the largest room, the Assembly Hall, for up to 664 conference delegates, featuring a stunning 30-foot glass dome and a ceiling height of 9.7m. The Bishop Partridge Hall offers a stunning stone balcony, with space for pre-event registration and exhibition stands directly outside the room. A built-in stage and gallery in the Hoare Memorial Hall, which hosted the House of Commons for a period during WWII. The self-contained Harvey Goodwin Suite conveniently located near the Great Smith entrance with large windows allowing for plenty of natural daylight, and directly linked with the Robert Runcie Room below it, which can be used for a breakout or catering room. Providing venue accessibility for conference delegates which includes wheelchair access throughout the building and all rooms, except the Jubilee Room. As formal recognition of our ongoing commitment to operate in a sustainable way, we are part of the Green Tourism scheme and have been accredited with a Silver award. a two-course hot and cold fork buffet, or substitute with a two-course carvery, bowl food or finger buffet. Our catering partner, CH&CO, have created an extensive list of breakfast, lunch and bespoke refreshment options to match your requirements and keep your conference delegates engaged througout the day. Our healthy snacks and brain-friendly food and drinks include a wellness working lunch, vegan raw energy bars and organic smoothie shots. Leverage the opportunity to network by choosing to host a post-conference drinks reception. We would be happy to recommend canapes and drinks options to ensure all your requirements are met and exceeded. 4K projection in the Assembly Room. An in-house AV team ensuring dedicated and expert technicians for your event when opting for an AV package. Opportunities for event branding, including the entrance at Dean’s Yard and in the rooms. Thank you and please pass on our gratitude to Sue and the team. It was a very smooth day, the live broadcast was viewed in nineteen countries and all in all we had a good response and a successful conference. Supportive, professional, friendly and perfect coordination, Mobile Convention London was in good hands at Church House. Wow what a great event yesterday and it was all thanks to your brilliant organisation and the delivery of your amazing ops team! Sue as ever was a delight to work with and the AV guys did a fantastic job too! Itís a pleasure as always to work with you all and I canít wait to see you all in February. Beyond a shadow of doubt this year's event was the best one yet. From the stunning rooms to the delicious menu it was obvious to all who attended that you put great time and effort into making this company event a great success. 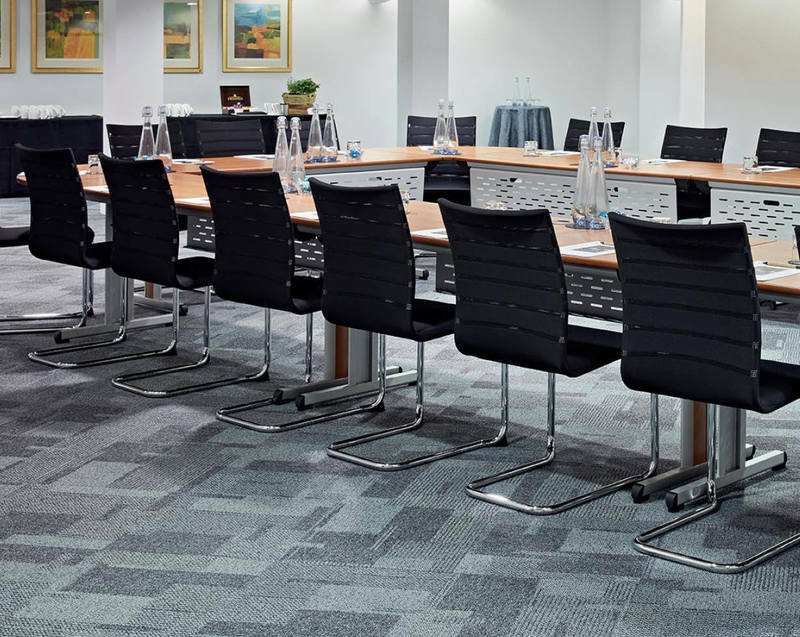 Whether you’re planning an annual conference, board meeting or seminar, our conference venue has a range of corporate event spaces to hire that’s ideal for your business occasion. 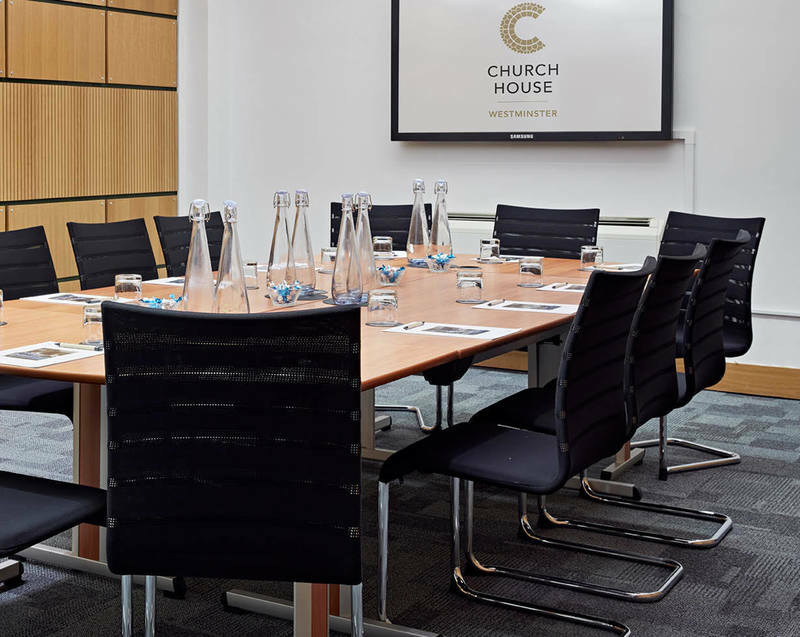 Church House Westminster is a Grade II listed multi-purpose conference centre located in the heart of London, hosting more than 800 events per year. We have 19 meeting and conference rooms to hire, ranging from small to large spaces. Our flexible event spaces can accommodate up to 600 delegates and can be adapted to fit all event requirements. 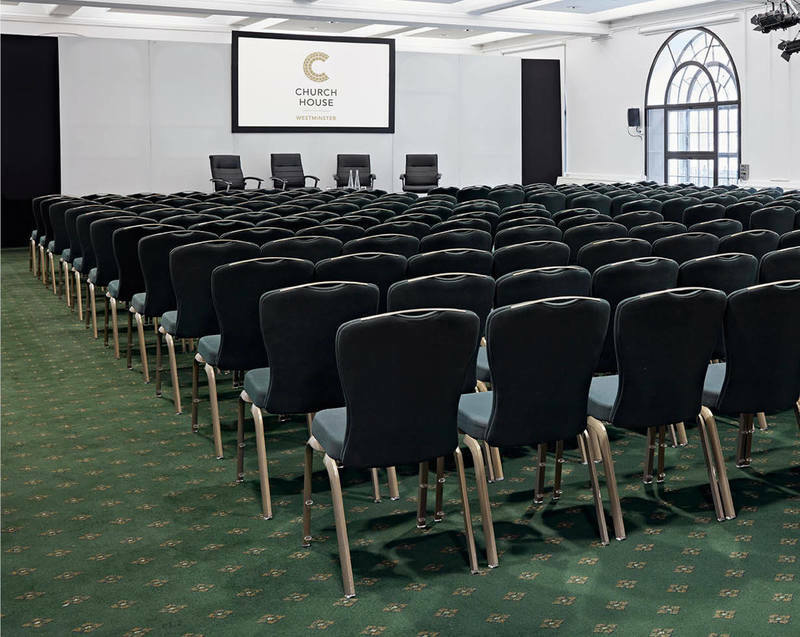 Our unique and historic venue in Westminster, Central London, features a perfect blend of character and modern functionality including natural light, LED screens or projectors, air conditioning, elegant styling, complimentary Wi-Fi and first-class audio-visual facilities. 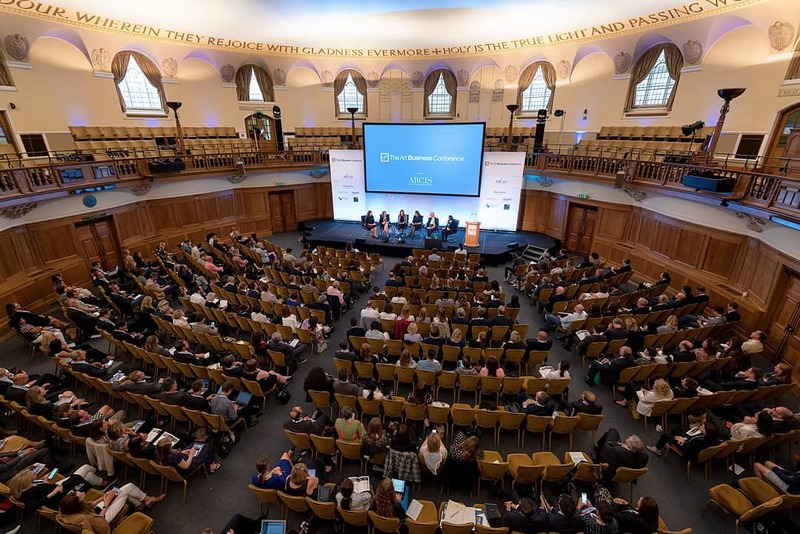 Church House has won multiple awards for its events, catering and AV expertise and holds AIM Gold and BDRC’s VenueVerdict Gold Standard accreditation. Assembly Hall - accommodates up to 600 people. Harvey Goodwin Suite - accommodates up to 250 people. Hoare Memorial Hall - accommodates up to 270 people. Convocation Hall - accommodates up to 100 people. Charter Room – accommodates up to 25 people. Room hire includes a 75” LED screen. Ramsey Room – accommodates up to 25 people. Room hire includes 64” plasma screen. Refreshments and catering can be arranged prior to your corporate event or meeting. Our in-house caterer CH&CO is available to provide you with a series of delicious, sustainable and ethically sourced menus that work for you, your guests and your budget. Find out more about catering. We are proud to offer first-class audio-visual facilities and advice. Our in-house audio-visual team will work closely with you to create the perfect staging, lighting and sound for your event. 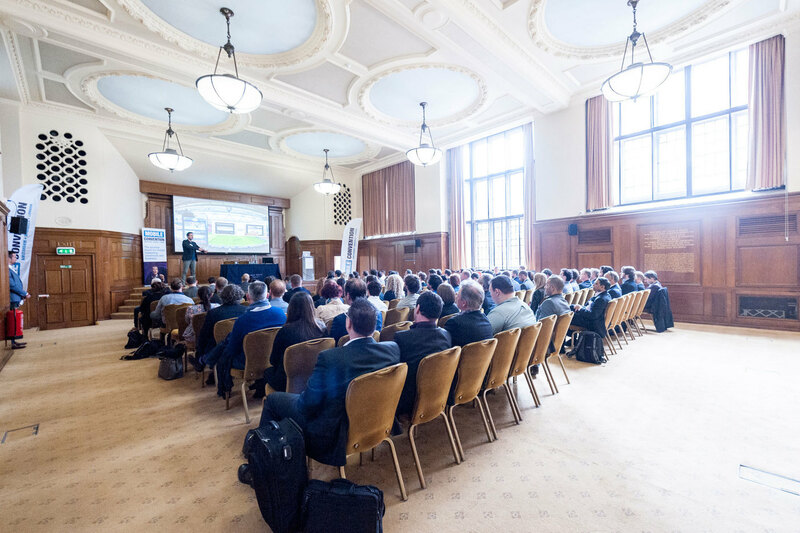 Whether you’re looking to organise an international conference or seaching for an exhibition venue, we have developed solutions to suit your needs and transform any space to fit your event requirements. Our conference and meeting rooms can be flexibly arranged in different setup/layout styles, from 2 to 600 people. Our room layouts include seated lunch/dinner, seated buffet, reception, standing, theatre, cabaret, boardroom, classroom and U shape. 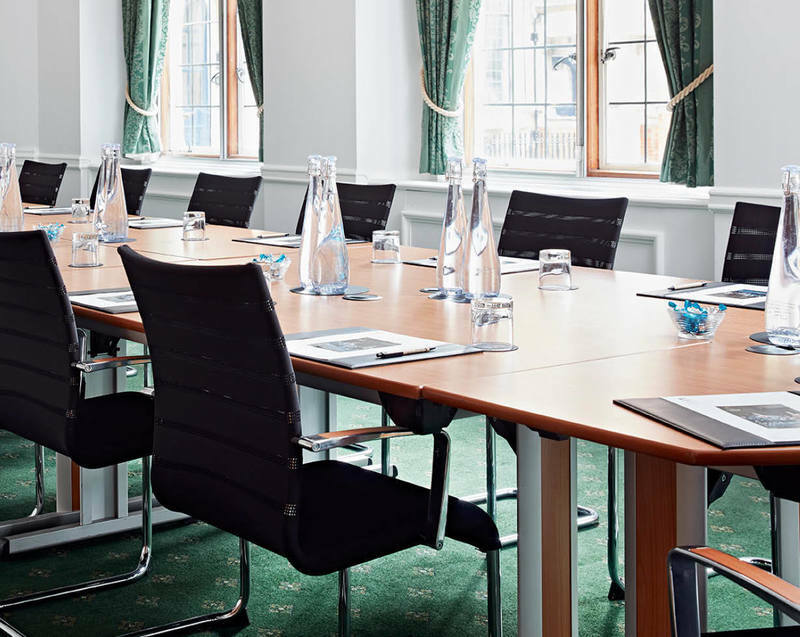 If you have any questions regarding our conference or meeting rooms in Westminster, Central London, please fill in our contact form or call us on 020 7390 1590.